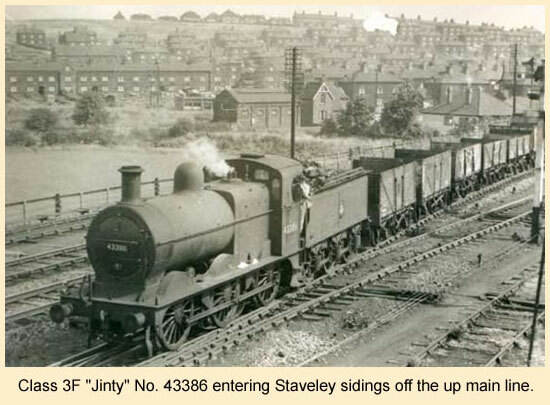 The North Midland Railway reached Staveley by 1841 when the original Barrow Hill station opened on April 6th. It closed on November 15th 1888 and with the opening of the Clowne and Mansfield branch the new station opened the same date. 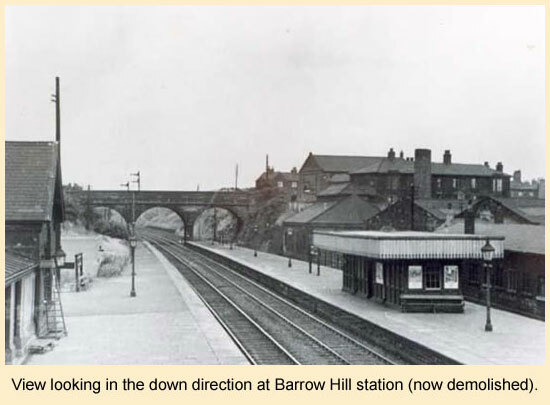 The station was renamed "Barrow Hill & Staveley Works". 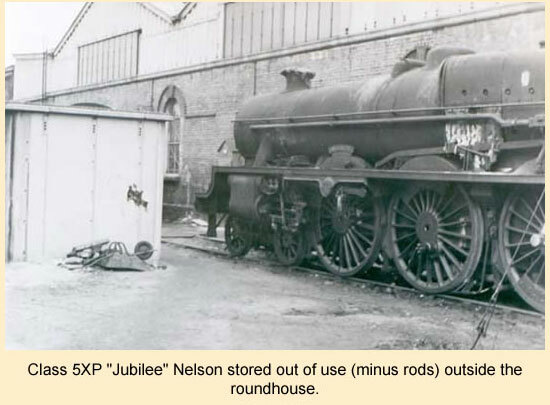 An engine shed was built near the station in 1865 with a capacity for four engines. 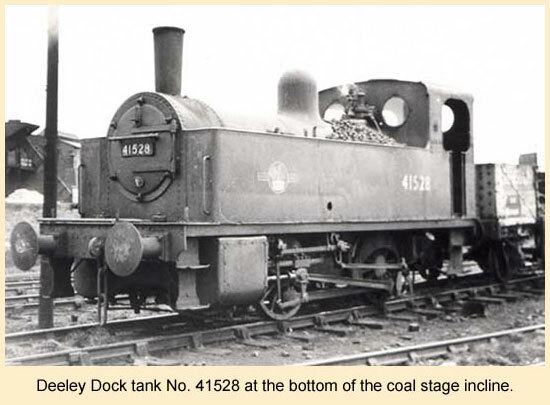 In 1866 the Midland Railway signed an agreement with Staveley Works whereby they purchased and would operate the works internal private railway for 100 years. 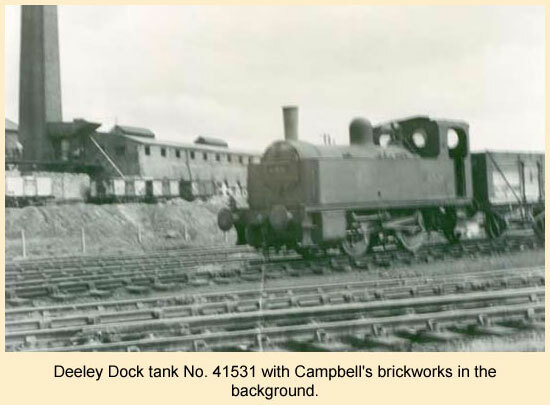 The vast increase in traffic created a need for more locomotives and a much larger shed. The result was the present Roundhouse. 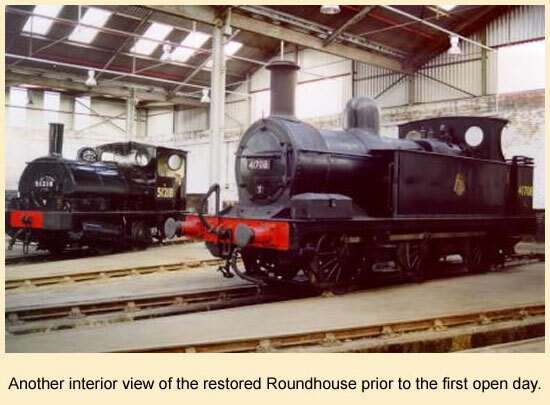 The former steam roundhouse located at Barrow Hill near Chesterfield, is a unique example of 19th century railway architecture. 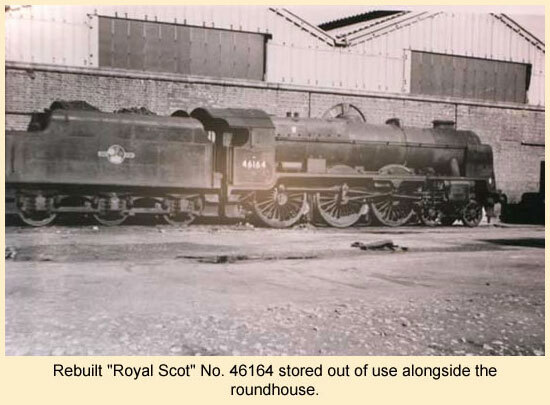 It is the last surviving operational roundhouse engine shed in Great Britain. Construction commenced in July 1869 and it was completed in November 1870. The Midland Railway Company contracted I.E. Hall to build the depot. The final cost being £16,445 4s 9d. It comprises 24 roads of which the longest is 80 feet and the shortest 60 feet. 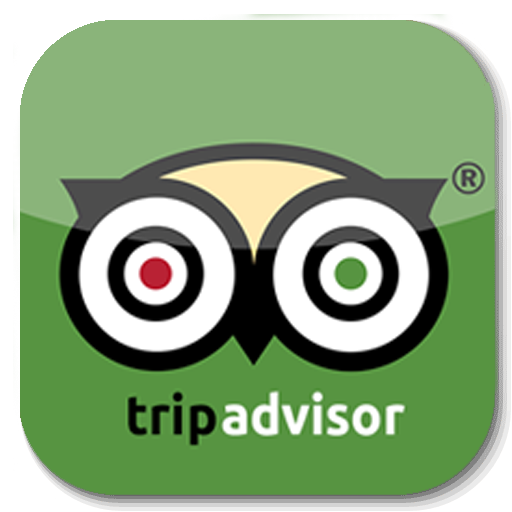 Following the opening in 1870 it was in continuous use until it finally closed its doors in 1991 after a working life of 121 years. 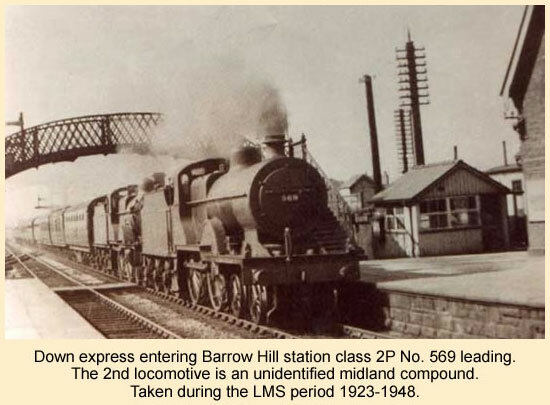 When the Midland Railway introduced their system of shed codes in 1898, Barrow Hill was given the code M24. 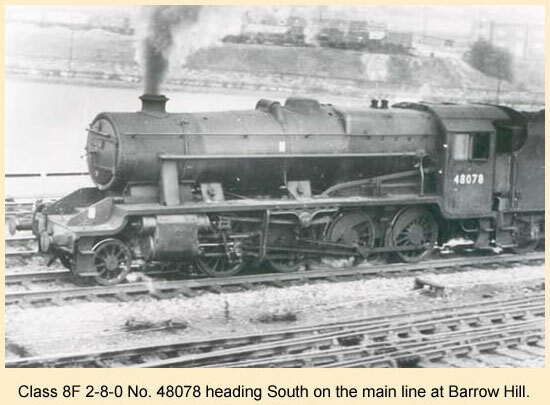 This was later changed by the LMS to 18D in 1935. 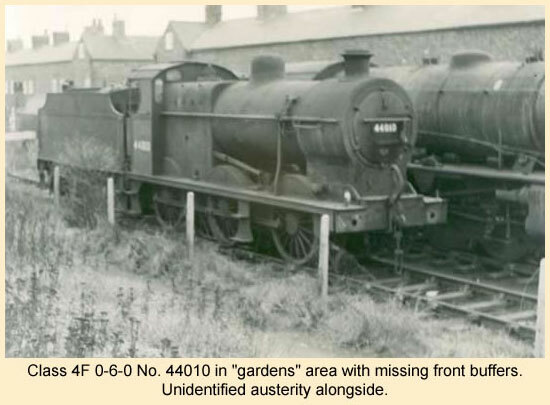 In February 1958 it changed again to 41E when the area was taken over by the Eastern region of British Railways. 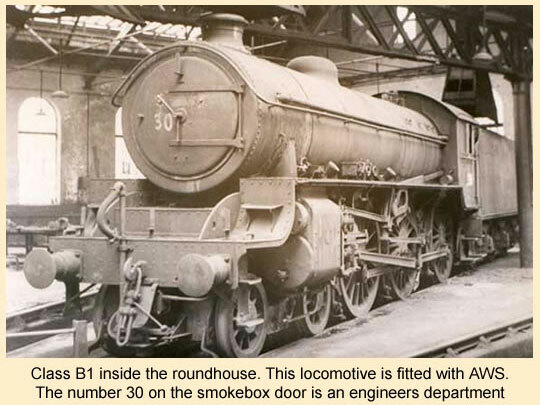 On October 4th 1965 after the depot closed its doors to steam it was given the code letters BH. Although it was clearly designed to house 24 steam locomotives the allocation peaked to 90 engines it the 1920's. 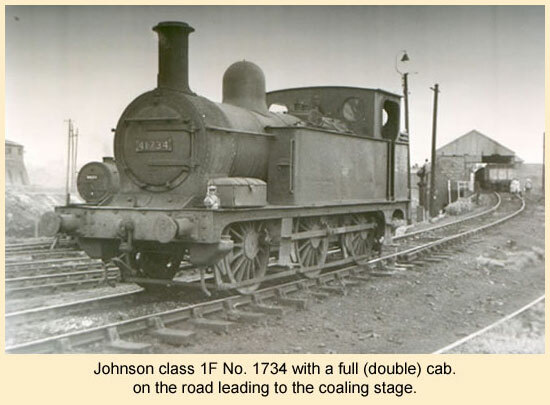 The most powerful of which were the Johnson 3F 0-6-0's and Kirtley double framed 0-6-0's. A total of 26 were allocated. 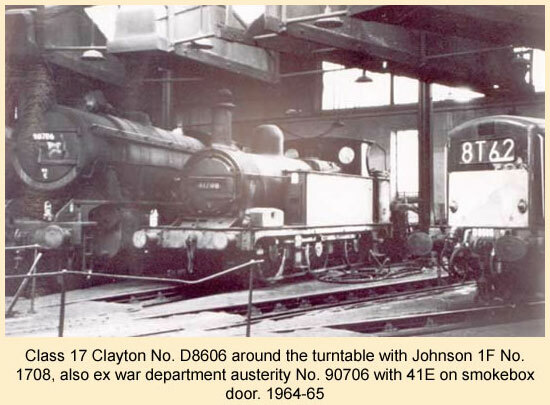 Johnson 1P 0-4-0T's were allocated for working the branches to Mansfield via Clowne and Doe Lea valley. 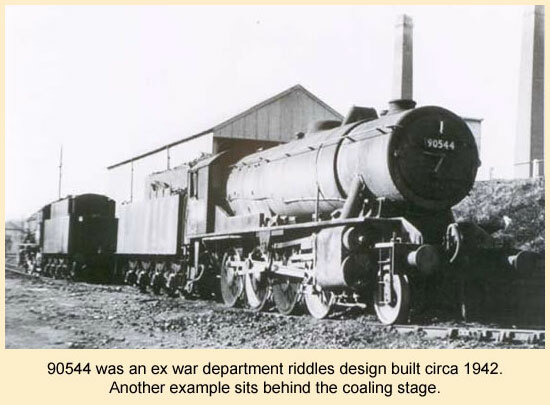 The allocation then settled down to around 75 locomotives throughout the 1940's and 50's. 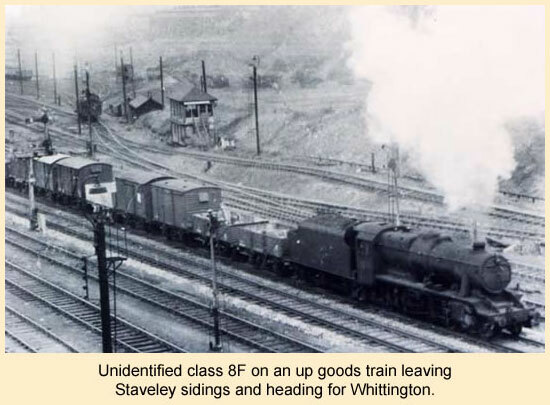 It then reduced to approximately 30 locomotives before closure to steam on October 4th 1965. Diesel locomotives were then allocated for the following years. 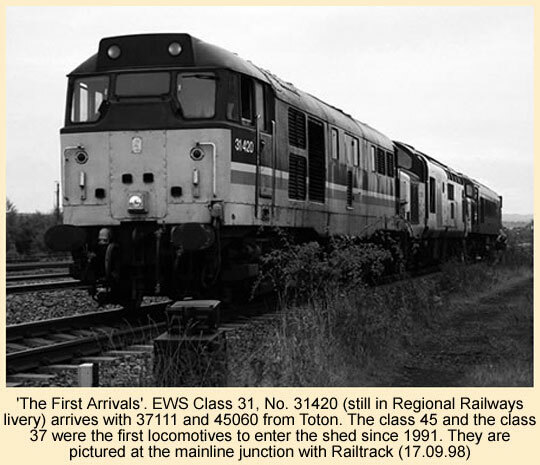 The allocation in 1983 was just 5 diesel shunters. This further declined to 3 by 1987 and by 1988 there was no allocation at all. 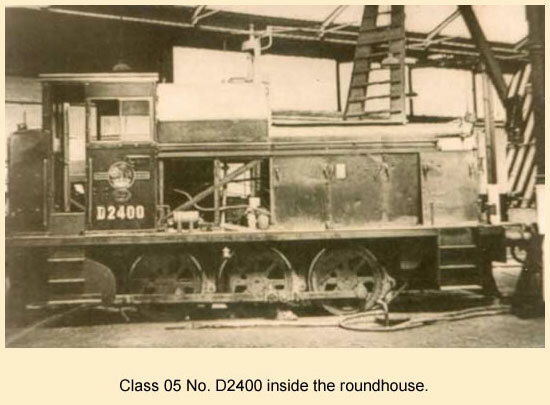 The Roundhouse became a stabling and signing on point for locomotive crews on coal traffic workings. This was how it was to remain until its closure by British Rail in February 1991. The final hours of the 9th February were well documented. The last shed foreman was Pete Hodges and the last person to sign on at Barrow Hill was Joe Denston for the up sidings preparer. Both class 20 locos left for Worksop at 12:10 driven by driver Bob Hill. One hundred and twenty one years of continuous use had finally come to an end. 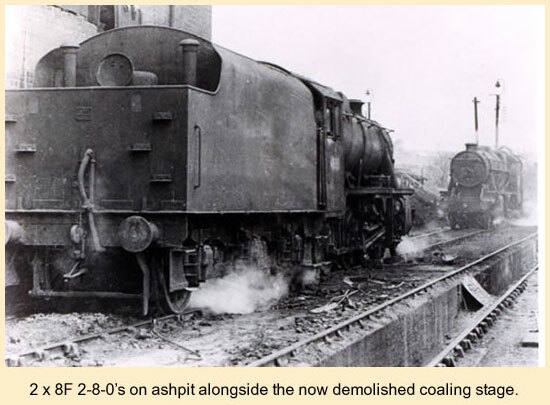 In 1989 Mervyn Allcock formed the Barrow Hill Engine Shed Action Group (later to become the Barrow Hill Engine Shed Society) with the intention of saving the Roundhouse from demolition, on the site of the soon to be closed British Rail engine shed. Behind the scenes this preservation attempt was going on but no visible signs to the passer-by were evident. In fact quite the opposite since following closure in 1991 the site was by now suffering heavily as a result of vandalism and neglect. In fact it was starting to appear ready for demolition. 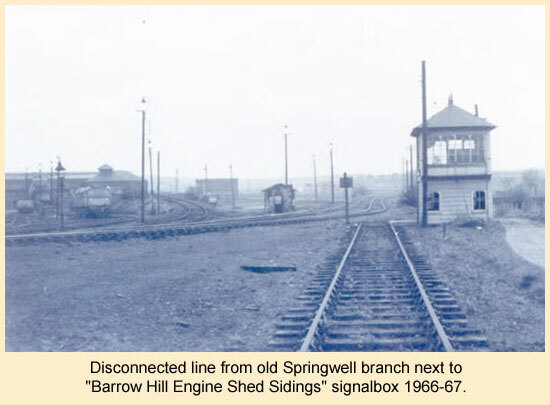 The Barrow Hill Engine Shed Society were in talks with the local council in an attempt to get the building listed. 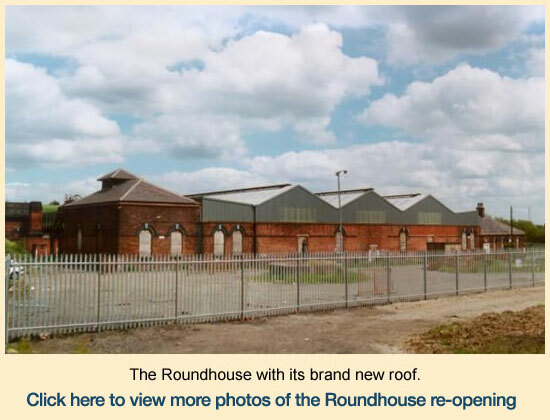 Having lobbied the local Borough Council the Roundhouse and its associated buildings were given Grade 2 Listed Status by the Department of the Environment during February 1991. 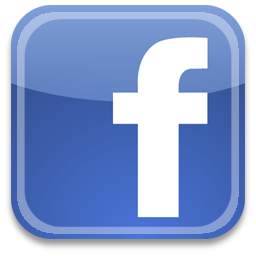 This was the first step of a process which was to take six years. The second step was to purchase the building from the British Rail Property Board. 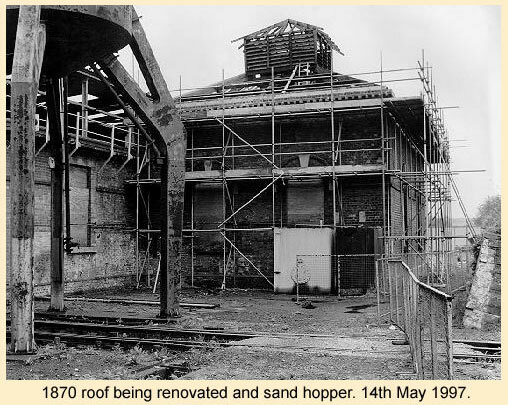 This was to take over three years during which time the Roundhouse and associated buildings were to be heavily vandalised. During this period the building even though Grade 2 listed, came dangerously close to being lost forever. 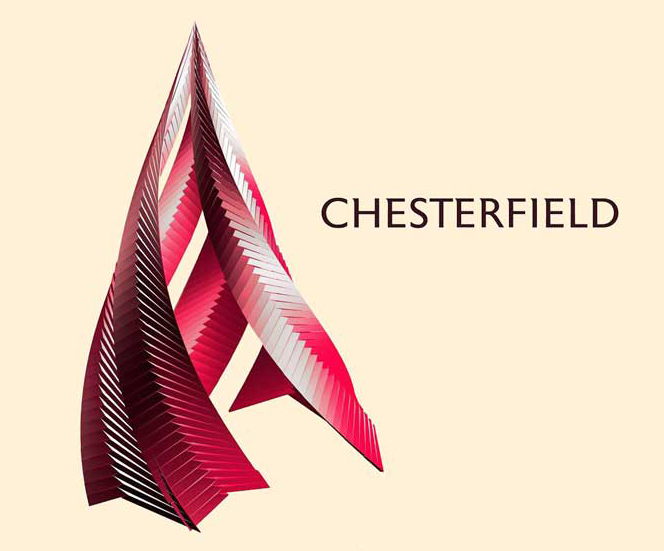 Chesterfield Borough Council became the new owners on December 20th 1996 of the shed and nearby yard. 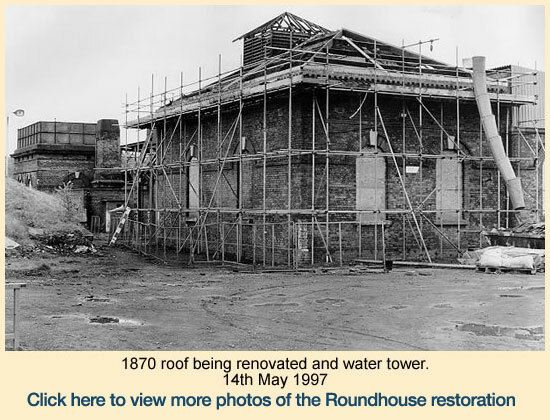 The third step was to raise funds to refurbish the Roundhouse. 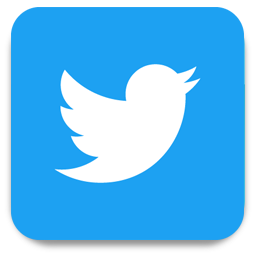 This also took several years but has resulted in funding being provided by Chesterfield Borough Council, Derbyshire County Council, The Transport Trust, North Derbyshire Training and Enterprise Council, European Regional Development Fund and the Government SRB Fund. Since that time, the building has had its roof replaced. There is however one part of the original 1870 roof still in place. Since this job was completed all major services in the building have been restored. 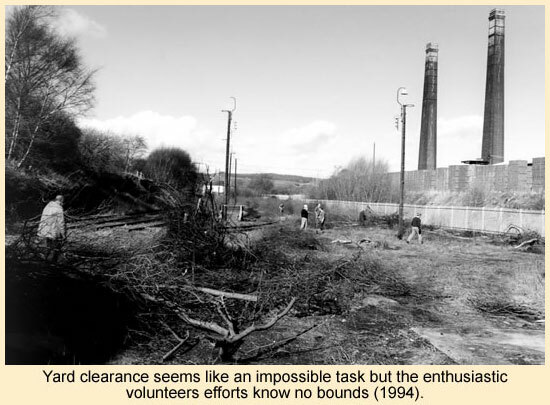 Following many months of work by dedicated volunteers the site was slowly cleared of vegetation. Stolen track was replaced and the entire site was made secure. A major cleanup commenced. 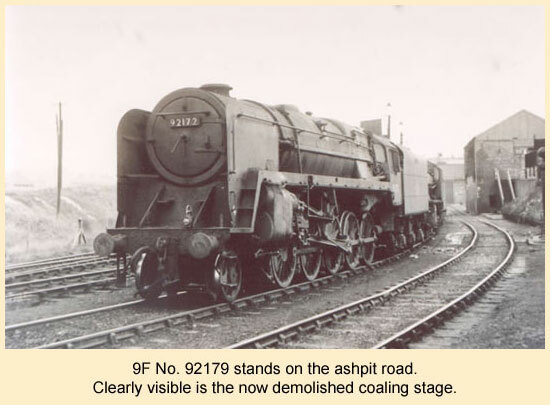 Remarkably the 24 roads around the turntable were still in situ and intact. 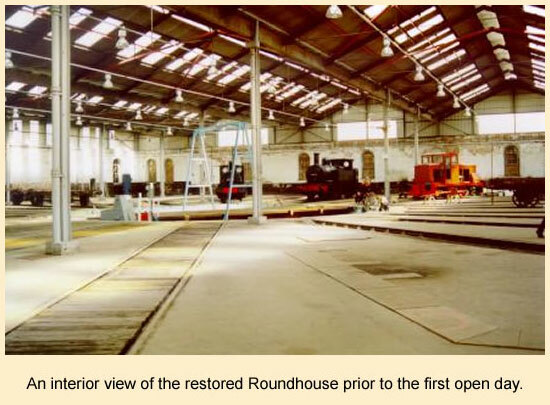 Inside the Roundhouse can be seen what is believed to be the only remaining set of timber locomotive lifting sheer legs. This lifting arrangement was deemed illegal in 1964 when the construction (lifting regulations) Act was made law. 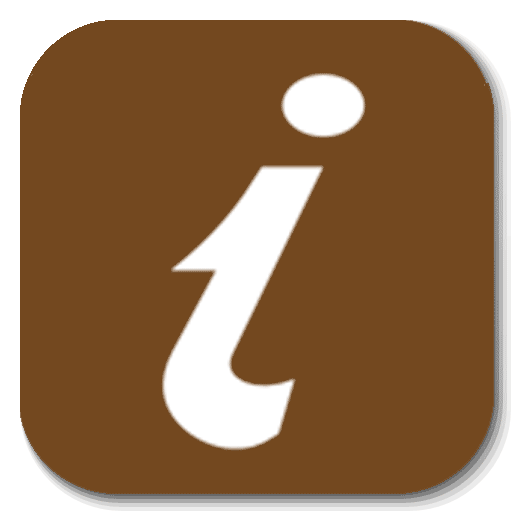 These will be returned to working order and retained as a demonstration feature. 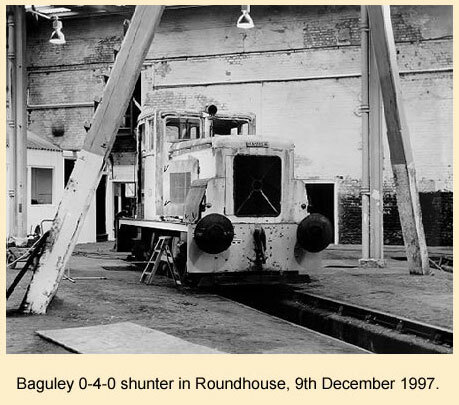 In July 1998 the engine shed re-opened its doors to the public. 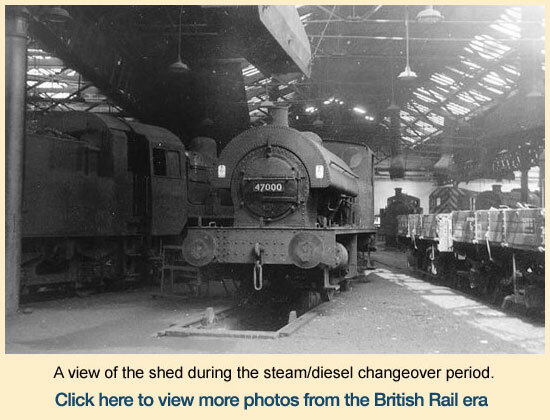 We were able to witness a remarkable transformation and were treated to the presence of four steam engines inside the shed. 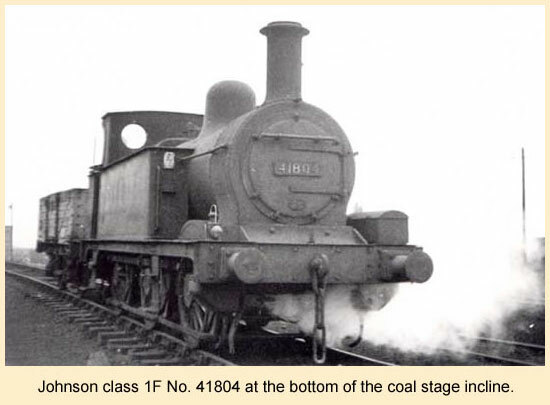 One of the engines LMS 41708 an 0-6-0 Johnson "Half-Cab" that dates from 1880 is the only surviving long term resident of the shed (from 1947-65). It emerged from the shed to give the visiting public brake van rides down towards the mainline connection. On the weekend of 12-13th December 1998 the shed once again threw open its doors for a second time. 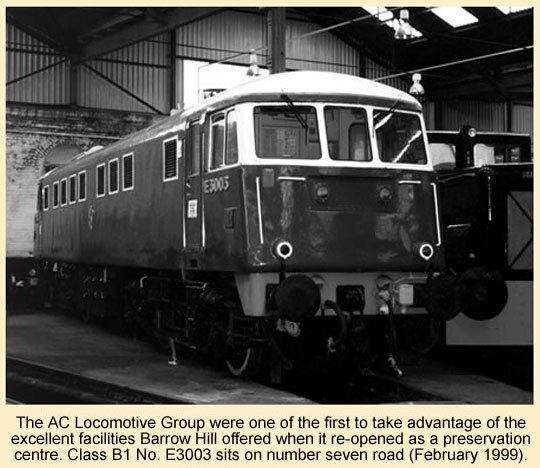 This time hosting diesel engines of classes 20,37,45,55 and examples of 1960's west coast electrification in the guise of classes 81,82,83 owned by the AC Locomotive group. 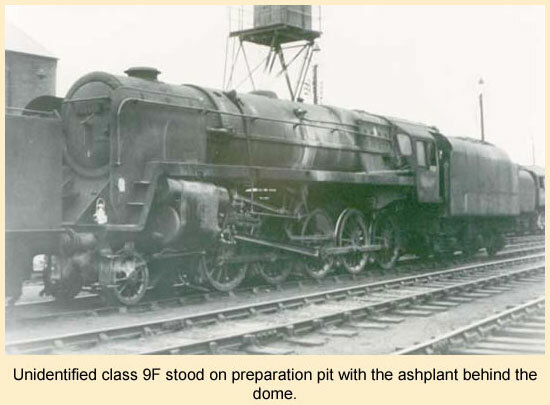 Representing steam were LMS "Crab" 2700 and Jubilee 45593 (Kolhapur). On Saturday the depot really erupted into life with first of all newly restored class 55 deltic 9009 "Alycidon" fresh from its eight year rebuild. Then DRS class 20, 20310 filled the shed with "clag". As if this was not enough, we were now treated to the startup of DRS class 37 number 37609. Brake van rides were given utilising deltic 19 and 45060 interspersed with 45593. On the Sunday DRS class 20 haulage was added to the tally. Now the depot was really back again! It was like an open day of years gone by. Everyone has to be congratulated in pulling off what not so long ago was likely to be just a memory. On Saturday the 16th of January 1999 Barrow Hill Roundhouse notched up another gear in preservation when 8F number 48773 paid us a visit along with its support coach 99405. We were expecting the loco "On Shed" between 14:10-14:30. In the event it was seen entering the sidings at 13:15. 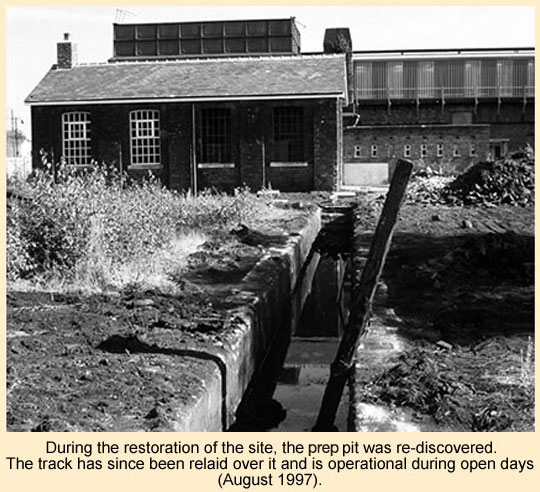 History was created again when at 13:38 48773 entered the secure compound of the Roundhouse. The depot was open from 12:00 and the turnout was excellent. The loco was serviced and turned (of course!) before finally departing to rejoin its coaches for the return journey. 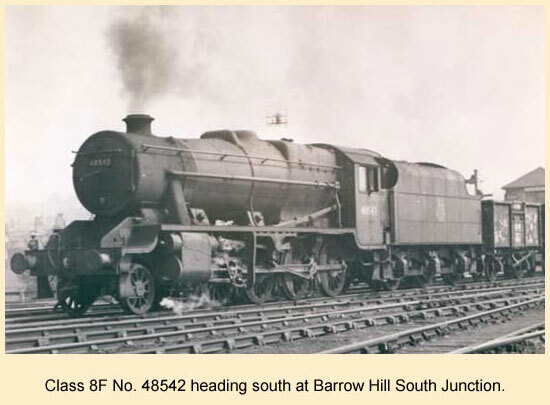 Another important chapter was written in the Barrow Hill story.